Ind-AS has been made applicable w.e.f. Financial Year 2016-17. At BC, we have expertise in helping the corporates to make smooth transitioning to this new statutory requirement. (c) Group companies Applicable to holding, subsidiaries, joint ventures, or associates of companies covered in (a) and (b) above. 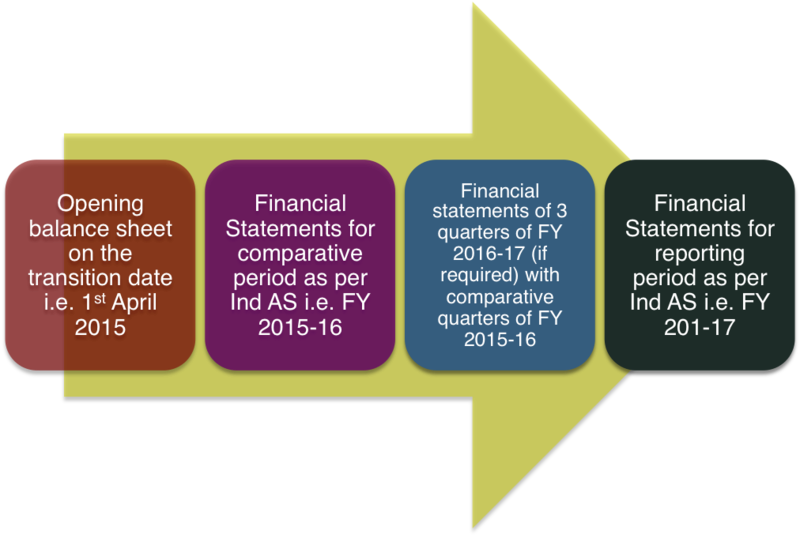 Our broad scope of work will be to provide an end-to-end solution to achieve smooth transition from existing accounting practices to Indian Accounting Standards (Ind AS) starting from Financial Year 2016-17. Assess the impact of changes on various components of business, including IT system. Assistance in preparation of opening balance sheet on 1st April’2016. Impart training to users to explain the differences post Ind AS transition. Discussion with Statutory Auditors to clarify if there is any difference of opinion on any judgment exercised related to Ind AS transition. To see how Blue Consulting can help you in Ind-AS conversion, get in touch with us at bdm@blueconsulting.co.in or call us at 0120-4113075 or Click here.